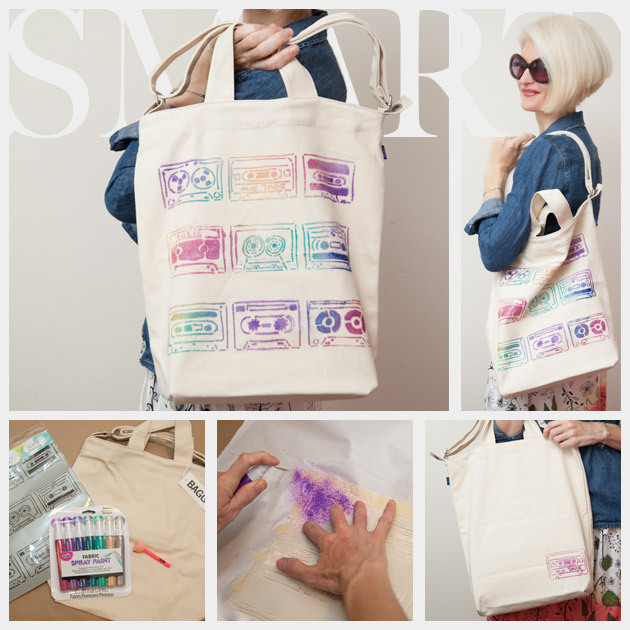 Create a fun and functional 80s inspired DIY Tote Bag with this simple, all inclusive kit from Darby Smart. 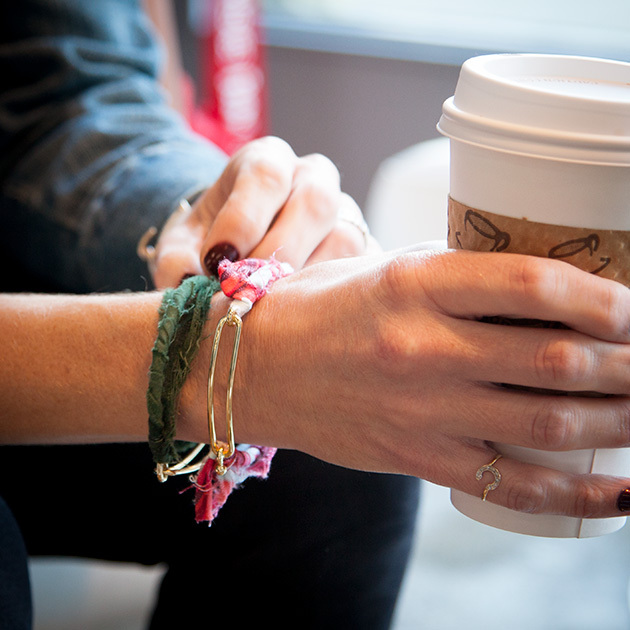 We all love to get creative and make something truly unique, but sometimes its fun to let someone else do the work of finding all the right materials and coming up with the ideas. 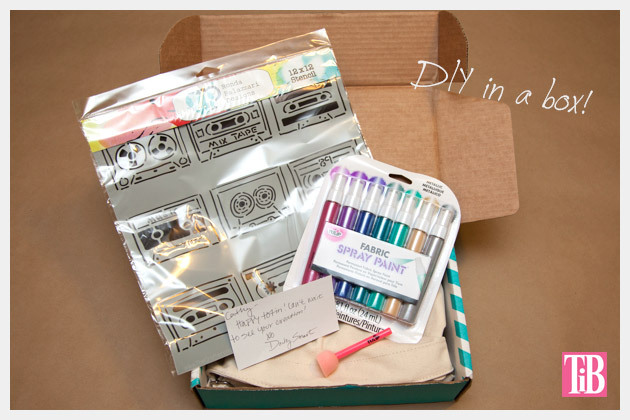 With this kit (and others) from Darby Smart, you can receive everything you need in one box to make an awesome DIY! 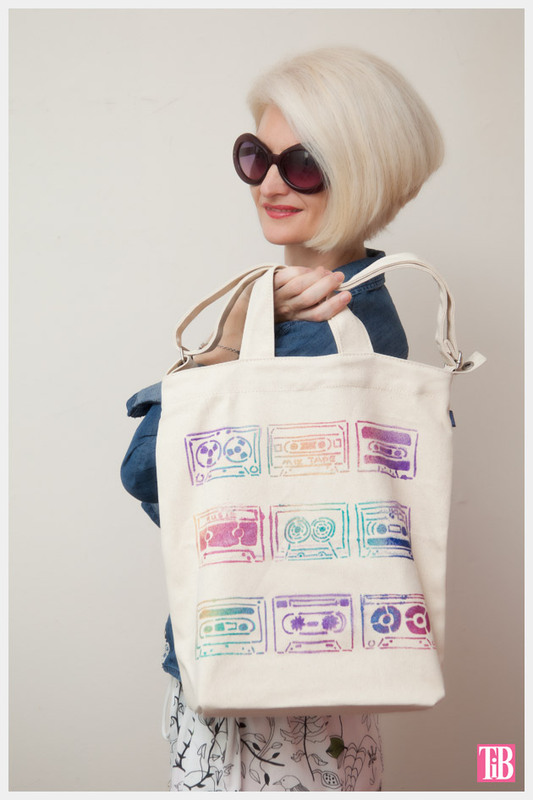 Everything you need to make your DIY Tote Bag is in this kit. 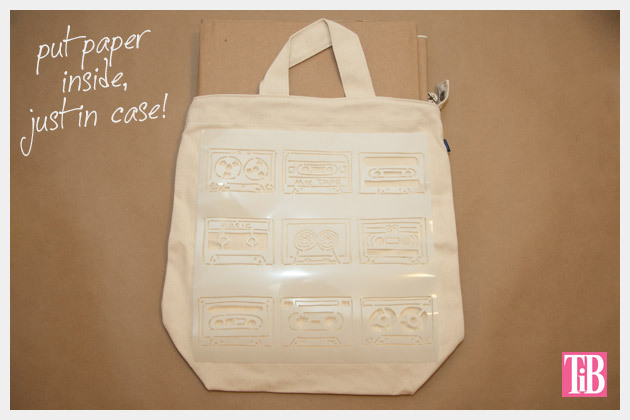 The stencil is thick and durable, perfect for multiple uses. 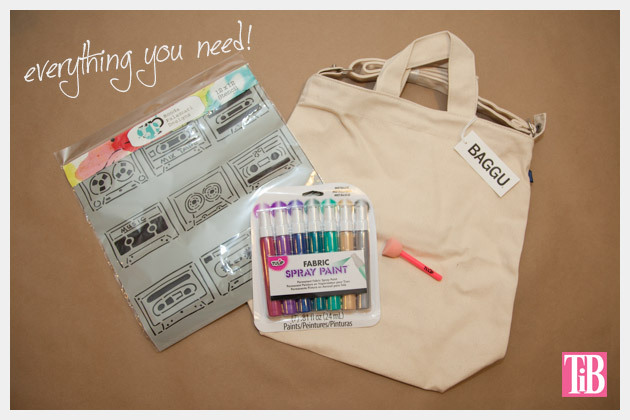 I love the Tulip Fabric Spray Paint, it’s really fun and easy to use and a heavy cotton canvas bag from Baggu! Plus a sponge pouncer, for extra painting posibilites. I put paper inside my tote bag, it wasn’t necessary, however it’s always better to be safe than sorry. I didn’t want to have extra paint around my stencil, so I put paper around the stencil and taped over my bag to keep it clean. 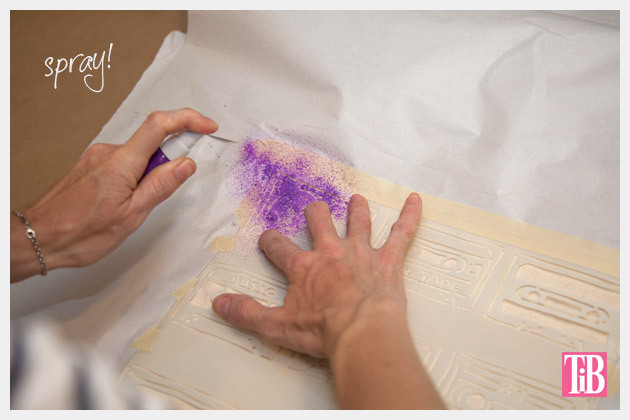 You may need to hold your stencil down as you’re spraying your tote, this will keep the paint exactly where you want it. I was asked to do a straightforward creation with the only materials included. So I wanted to maintain the integrity of the stencil design and explore the possibilities of the spray paint by blending and layering the colors. 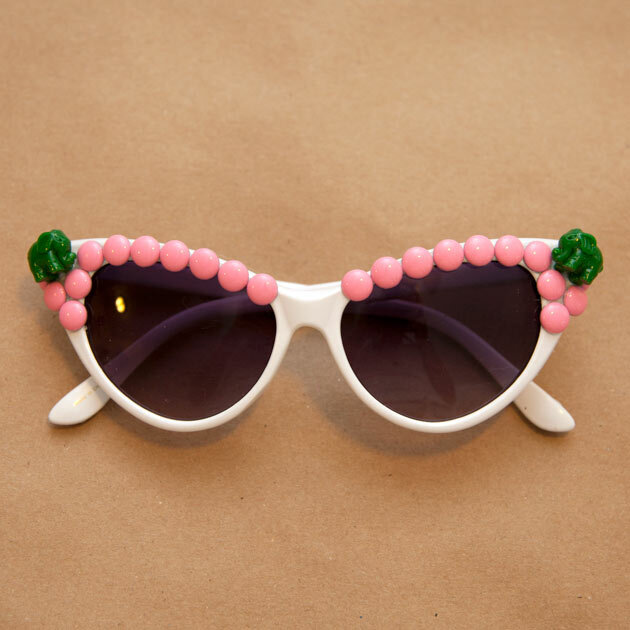 But whos to say you cant add your own personal touch to it by sayâ€¦ adding studs? Or more paint? 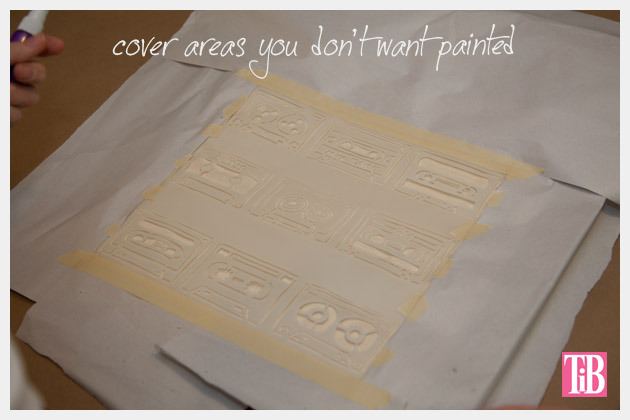 Cut up your stencil and move it around. 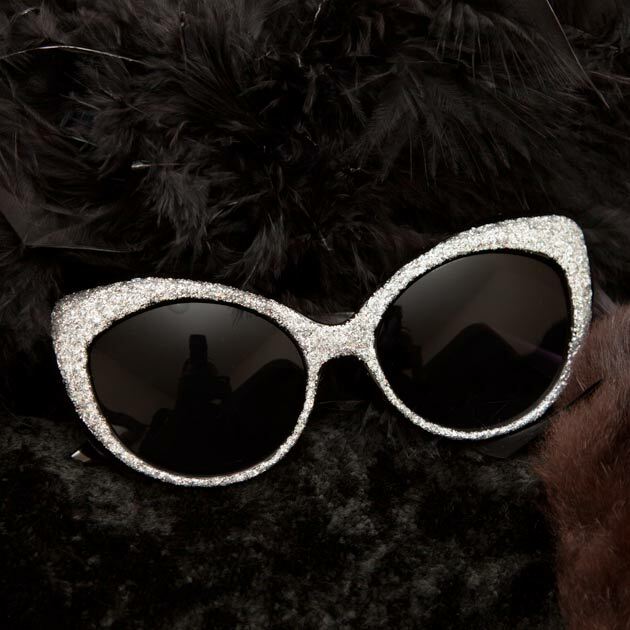 Do I hear rhinestones? Anyone? Bueller? 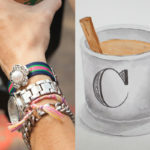 Don’t forget to embellish both sides! Have fun and make it your own! 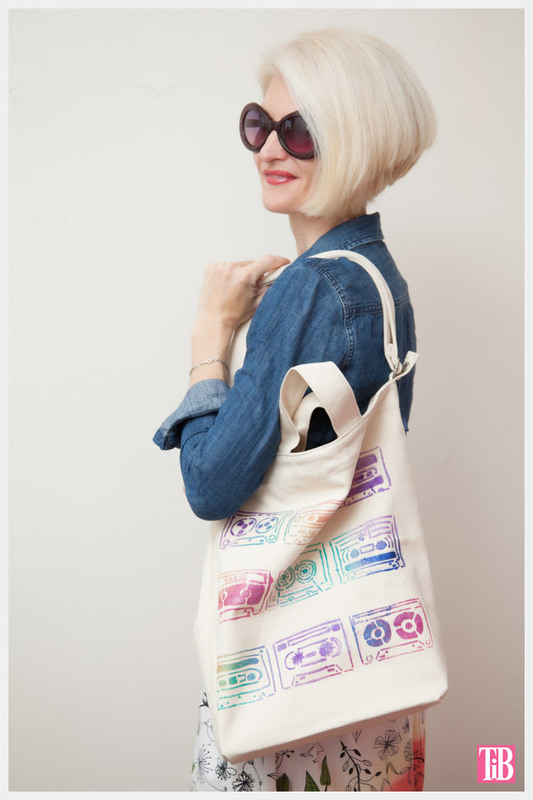 You can purchase your own “80’s Throwback Bag” kit here at Darby Smart. While I know Im being paid to review this kit, I just want to say that I really do think its worth it. 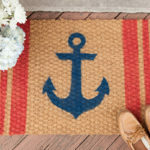 The quality of materials is very good and the design is really fun. It would also make a great gift! Leave me a comment and let me know what you think. 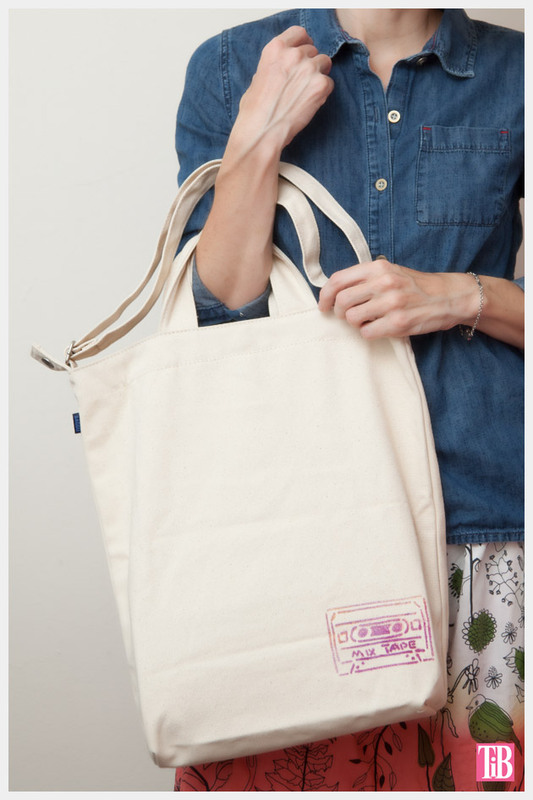 How will you personalize your DIY Tote Bag? This is a sponsored post, I have been compensated for this post. However, all opinions and design are truthful and my own.